Round 3 in the Men’s ETTU Cup is scheduled for this weekend. In one leg 16 clubs will fight for the place in next round. Finally, big guns joined the caravan. Top seeded French Istres Tennis de Table with CHEN Jian, Alexandre ROBINOT, Thiago MONTEIRO and Antoine HACHARD will host Irun Leka Enea. Spanish club “survived” challenges from previous two group stages. In opening round they concluded the weekend at the top position in their Group, whilst in second round they were second. Another French representative Stella Sport La Romagne will play at home soil. For no. two seed play CHEN Tianyuan, Abdel Kader SALIFOU, Brice OLLIVIER Armand PHUNG…They will meet Toledos. Portugal’s side also played in previous two rounds. 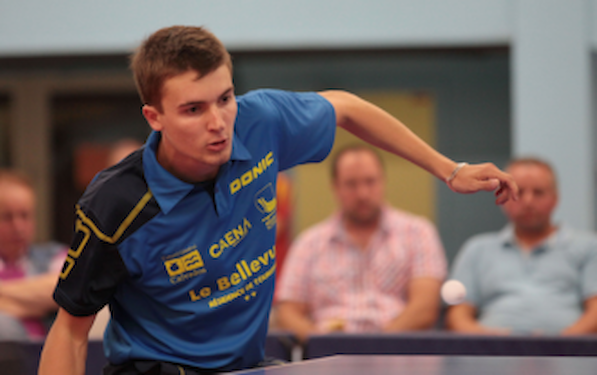 The third French club, Caen TTC, occupies spot no. three at the seeding. Romain LORENTZ, Zoltan FEJER-KONNERTH, Jakub KLEPRLIK will face Italian club TT Amatori Sterilgarda. Czech El Nino EHW with BAI He, David Reitspies, Antonin GAVLAS, Kristan awaits Turkey’s BBSK Istanbul in Prague. Turkish club also started their journey in the second round of the competition. Hungary’s CVSE Swietelsky Wewalka, seeded no. five will host CS Pristavu Campulung in Celldomolk. Daniel KOSIBA, Peter FAZEKAS, Nandor ECSEKI, Csaba IVAN and Peter OLBEI are listed for hosts. Dutch Enjoy&Deploy Taverzo with Trinko KEEN, KANG Donghoon, Benedek OLAH, Rajko GOMMERS and YANG Ming will play in Zoetermeer against Belgium’s Logis Auderghem TT. TTSC Nord of Ukraine is seeded no. seven in ETTU Cup, but the match against DKV Borges Vall will be played in Spain. For Ukraine’s club play Oleksandr Didukh, Ievgen PRYSHCHEPA, YANG Li, YANG Ce, Oleg FILENKO, Denis GAVRILOV. However Ukraine will host another match. Fortune will meet TTSC Elem of Russia in Kiev. on Forune’s list are: Ivan KATKOV, Dmytro PYSAR, Vitaliy LYEVSHYN, Denys KALACHEVSKYI and Petro KIM.